To take part in sporting activities in Thailand is to experience eye-opening adventures in a beautiful country. As with any outdoors sporting holiday there are a couple of important considerations to take into account. The first is knowing when the peak and low seasons are. Second is the climate – which time of year has the most appropriate weather for your sport. Thailand’s tropical climate features the hot season, the green season and the cool season. March to May is typically the hottest whereas November to February is the coolest. June to October is the green season and is typified by high rainfall. Humidity is the main barrier to active sporting activities where it can become unbearably uncomfortable to those of us more used to the British climate. It is the cool season that sees the biggest influx of tourists where comparably mild and sunny weather proves most attractive. The temperatures vary from 16 to 36 degrees and winds are light. Rainfall tends to be brief and dries up quickly. Ideal golfing conditions! Just try to avoid midday where the temperatures are at their highest. Thailand’s capital, Bangkok, has a number of fabulous courses in its vicinity including Riverdale Golf Club, an 18-hole, 72-par affair with several large reed-filled lakes that can prove to be tough (in a good way!) Golfing in Thailand is predominantly on the flat so Riverdale is a welcome break with its sweeping hills and dales theme. Deceptively simple, the Riverdale has a number of challenging features which will give the inexperienced player a challenge. The Suwan Golf and Country Club is a short 50 minute drive from Bangkok and is a delightful resort. Opened in 2005, you can tell the groundskeepers put a lot of pride and hard work into their brilliantly managed putting greens. This is a little touch of paradise where any of the 18 holes will lead you around cheeky sweeping hills, lotus ponds and doglegs that will try and catch you out. The local environs incorporate fruit orchards and rice fields and are an attractive agricultural backdrop. The Suwan course is popular locally and further afield; it hosted the Thailand Open in 2011 and regularly wins ‘Best Golf Course in Asia’. More than just an excellent course, the Suwan also has exceptional caddying and customer service. We all know how important concentration and serenity are to playing a few rounds of golf. If you can’t focus, your shots go wide, disappear into bunkers or vanish without trace into a lake. At the Alpine Golf Course the emphasis is on luxury, relaxation and harmony all aimed at helping you have your best game on the fairways. Off the green you will find ample locker rooms, a multitude of available golf carts and relaxation facilities including Jacuzzi, sauna and swimming pool. The dining experience is excellent here with its amazing banqueting hall and restaurant. At just an hour’s drive from the capital, the Alpine Golf Course is well-placed for you to experience the best that Bangkok has to offer. A two-hour drive to the south of Bangkok on the western coastline lies the idyllic Laem Chabang golf course. Not as hectic as the urban Bangkok, Laem Chabang is closer to Pattaya for those of us wanting a less busy city visit. Designed by world-renowned golfer, Jack Nicklaus, this 27-hole course extends over 700 acres. It’s well subscribed to owing to its world class status and hosts prestigious competitions annually. This year saw the All Thailand Championship played here. The Laem Chabang course is picturesque in itself – how many greens do you know that have a stream lazily bisecting them? 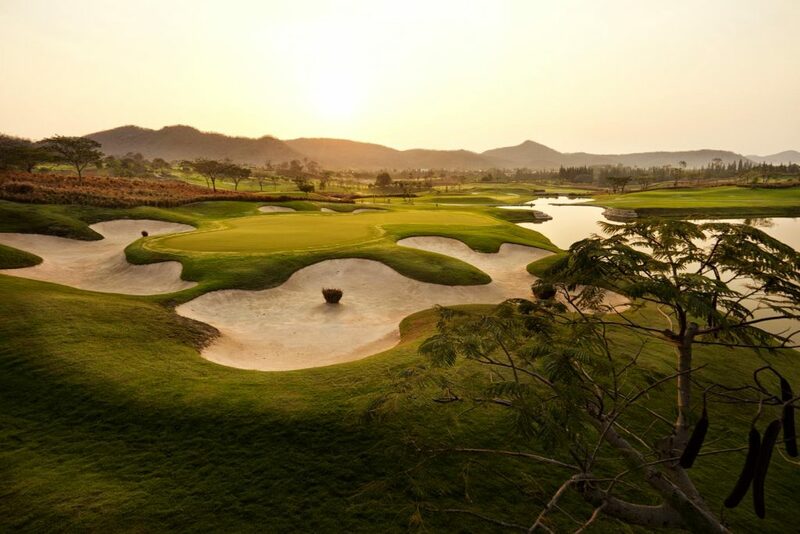 Against the mountainous backdrop the majesty of Thailand’s natural environment really lifts your spirits and your game. Originating in India, yoga’s blend of spiritual, mental and physical disciplines is alive and well and flourishing in Thailand. There are several hundred schools in the country that offer yogic teachings most in the major cities and neighbouring areas but for true nirvana, practicing yoga is arguably better on secluded islands. Off the eastern coast in the Gulf of Thailand are the three islands Koh Tao, Koh Phangan and Koh Samui. The most northerly of the islands, Ko Tao is where you’ll find Shambhala Yoga. Shambhala’s outlook is that their yogic teachings carry through to all aspects of your life. The time you spend here is aimed at being the first step to a new you, one where you will take what you’ve learned and experienced and hopefully develop it further. Shambhala celebrated its twentieth anniversary of ‘Spreading Peace, Love and Happiness since 1997’. It’s little wonder that this school is so popular; it has consistently high ratings on TripAdvisor and great reviews that praise the teachers and studio. On the island of Koh Phangan you’ll find The Yoga Retreat, a mere ten minutes from the beautiful Haad Salad beach. 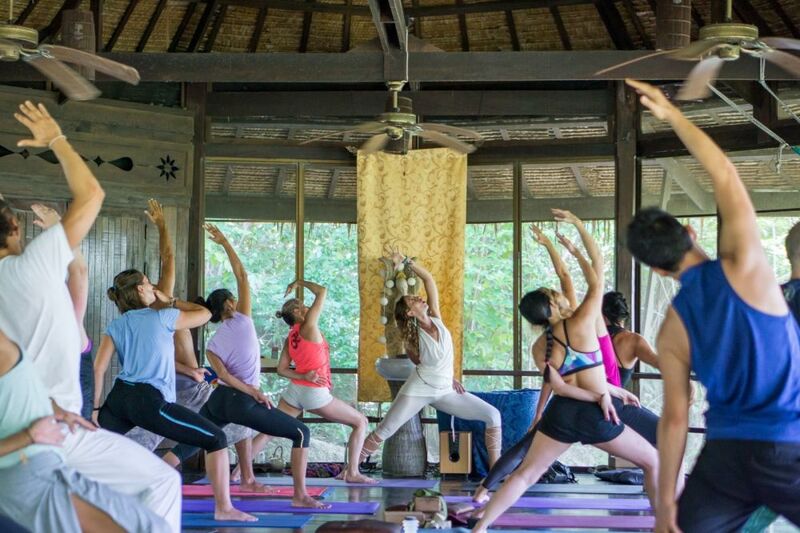 Surrounded by tropical jungle this yoga location promotes good practicing techniques that help deepen your personal awareness. The teachers here work towards enabling your journey to inner harmony and encourage you to learn yoga as part of a lifelong programme. Part of the Yoga Retreat’s attraction is its emphasis on pranayama – the control of breath and how it can be applied to positively impact on all aspects of your everyday life. The Yoga Retreat is also keen to focus on how you as an individual are your own best judge of progress. You also do a 14 day detox! It’s a family-run business that launched in 2000. Blooming Lotus is a retreat par excellence. Seven day meditative periods with vegetarian meals, vows of silence and a focus on yoga and breathing all contribute to you feeling more like yourself than ever. Introspection, peace and learning mantras elevate your mind and spirit, uniting your inner self like you never thought possible. A holiday on the southeast coast here will really open your eyes. If you’re already experienced in yoga, Blooming Lotus Yoga also offers accredited teacher training courses. These are ideal if you want to improve your skills and be part of a wider group encouraging more people to take up yoga in their lives. Koh Samui is the largest and most southerly of the three islands and it is here you will find one of the most well-established yogic retreats in the region. The Samahita Retreat on the south east coast specialises in communal meditation and yoga practice in groups of up to 70 people. Here you will be under the guidance of accredited, professional practitioners who will guide you through activities, classes and healthy eating (and detox). While you pursue the goals throughout the week you will learn about mindfulness and becoming your authentic self. The Gulf of Thailand and the Adaman Sea are havens for scuba enthusiasts the world over, with their warm, clear waters abundance of schools, rental shops and seaside facilities. From May to October where the weather is dominated by the southwest monsoon the conditions aren’t that favourable so to be on the safe side a visit outside of these months is advisable. October to April excursions almost always guarantee ideal scuba weather. Phuket is a popular tourist destination with its numerous attractions. High on the list is scuba diving – the western coast into the Andaman Sea has a bountiful array of fauna including anemones, seahorses, moray eels and rays. The island itself is mountainous and rainforested, a tropical paradise that promises much adventure! No fewer than 20 scuba organisations operate here and you would be hard-pressed to find one that doesn’t have rave reviews. Scuba here is one of Phuket’s primary tourist draws. The Similan Islands in the Andaman Sea are the place to scuba dive if you want to explore the stunning coral reefs. There are several species here including staghorn and table. A further attraction are the amazing coral bommies – columns of coral that have grown taller than their fellows. Lionfish, clown triggerfish and longnose hawkfish make this their home and are often seen darting in and out of cover. Bluefin trevally hunt their prey here. If you plan your visit so that you arrive in March to April your adventure will coincide with the influx of giant manta rays. Scuba diving here is to have a wealth of opportunities to photograph some of the most beautiful underwater flora and fauna anywhere on Earth! Another Andaman Sea island of note is Koh Phi Phi – you can take part in scuba excursions or even train to be an instructor and improve your training in sidemount diving. Most of the schools here limit their classes to four divers per dive master or three students to an instructor – this ensures that you get plenty of attention and the benefit of their experience. Koh Phi Phi also gives you the opportunity to see the jaw-droppingly huge wale shark glide by. The north of Thailand is exemplified by its rugged terrain and mountainous aspect. The many ascents and descents are renowned by the mountain biking community. There are several vantage points where you can get a photo of yourself riding into the sunset! It’s an old-school location where there is rarely more than a handrail as evidence of management. This isn’t to say that there aren’t amenities – a good variety of rental shops and eateries exist near most trails and these are more than adequate. Near the city of Chiang Mai is the lush mountain national park of Doi Suthep. Here, the crisscross of trails has been repurposed into single and double track mountain bike routes. The Eagles Route is one of the most well-liked among beginners and intermediates alike. A typical descent takes around four hours and the altitude change is 700 feet. Unlike some activities, you can ride here all year round and in any weather. The foliage isn’t overpowering and there is good visibility with only a few trees near the track itself. 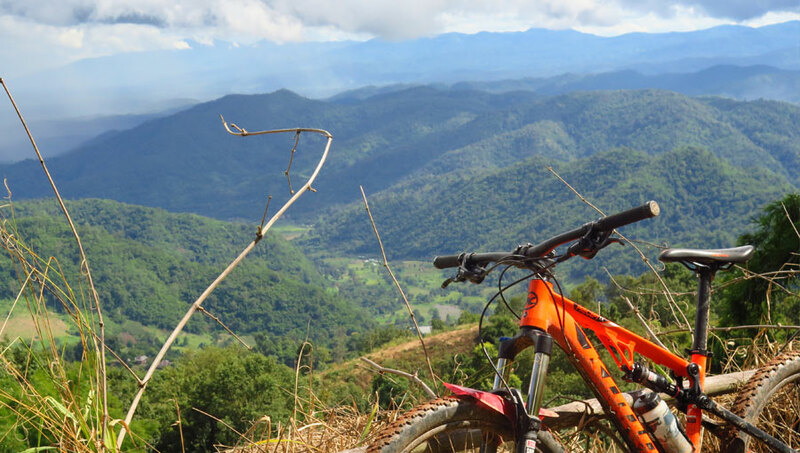 Depending on your personal requirements you can take to the trails in your own party or join in on any number of excursions ran by mountain biking organisations based in Chiang Mai. The Huai Cho Reservoir lies to the north east of Doi Suthep. There are excellent trails around and down from the reservoir. Unusually some of the offshoots from the routes lead nowhere so it can be a challenge to judge your speed and expect the unexpected! The trails are predominantly sandy and occasionally stony. When it’s wet the going can be greasy. While you are here it’s well worth visiting some of the wats (Buddhist temples); these are magnificent places and really help focus your thoughts. The reservoir itself is a great, easily accessible location that you can relax near. The heavily forested hilly backdrop is an appealing vista too. If you’re looking for somewhere more taxing then the Ban Layan Hills in Phuket could be just what you want. The complete loop of the Layan Hills outer is classed as a difficult trail. Steep inclines and descents with narrow tracks all conspire to put you to the test. The twelve-mile circuit takes in elevation changes of almost 800 feet across rolling hills – this is one punishing bike ride. Take plenty of water on this one as you will need to keep your hydration levels up. There are other loops you can opt for such as the southern loop which takes in shallower inclines should you decide the outer loop is a step too far. If you’re not used to high heat and humidity levels then a less rigorous route is advisable. The advantage of a location like the Ban Layan Hills is that there are so many tracks that feed into the main routes you can make your own itinerary – a bespoke circuit that suits your own particular preferences. Home to beautiful scenery, the country has some of the best sailing destinations in the world. It is also the place to visit for a range of other activities such as snorkeling, kayaking and diving. Sailors touring its islands can indulge in unique cuisines, rich cultural activities and/or even mingle with the friendly locals. If you are looking for a breath-taking boat ride with your family or friends or just your spouse, you will awe at the country’s luscious jungles, ancient ruins, pristine beaches and tropical islands. There are more than one thousand islands with pleasant tropical climates to explore. Whether you derive pleasure from snorkeling, cruising, sailing or partying, you will definitely find a perfect destination for you among KoSamet and Ko Chang in the east of Bangkok, KoSamui, KoPhaNgan and Ko Tao in the Gulf, and Phuket and Ko Phi Phi lying in Andamana. These spectacular islands are located to the east of Bangkok. The Ko Samet is also referred to as the seaboard islands, lying on the eastern side of Thailand. Being the largest island along the country’s coastline, you can sail and enjoy cool breeze as the island has a number of beaches. It also has several guestrooms, hotels and resorts to accommodate visiting sailors. Resorts such as the VimarnSamed, the C Samet Beach, Vongduean Village, etc. are on the island. You will be lost for choice. Enjoy water sports, snorkeling, jet skiing, diving and kayaking, or just lie on the sandy beaches to relax. There are so many things to do while on KoSamet Island, making it worthwhile. Ko Chang Island is one of the most popular destinations on the eastern islands. Apart from sun bathing, you can engage in activities such elephant trekking and scuba diving. If you are an adventurous sailor, get a scooter or trek to various waterfalls within the island. Take a jungle trek to one of the mountains. The island also has hotels, guestrooms and resorts to offer you accommodation as you tour the island. The KC Grande and Kacha resorts are other places to consider for accommodation. Most of the available accommodation has been rated 2-3 stars by visitors who have previously toured the island. KoSamui is the second largest island in the Gulf of Thailand. Sailors can enjoy its beautiful scenery of palm-fringed beaches, mountainous rainforest and coconut groves. There are a number of luxury resorts and villas, beachside bungalows and prestigious hotels to accommodate visitors. You can also opt to relax at the posh spas located on the island. Stop for a meal or rest at the Chaweng Beach, Lamai Beach, Bophut’s Fisherman’s Village or Maenam. You will have a variety of appealing and distinctive places to enjoy the island’s relaxing atmosphere. The KohPhaNgan Island is located on the southeast of Thailand and it is best known for its monthly full moon parties that attract many sailors. Charter a boat and tour its famous Sunrise Beach and get to enjoy a stay at a beach bungalow. Tour and enjoy its white-sand beaches including the Hat Khuat and Hat Thian. If you are interested in kickboxing camps, meditation and yoga retreat sites, scenic waterfalls and dense jungle, the island has so much more to offer. Tour the Ang Thong National Marine Park or watch snorkelers and scuba divers at its reef-lined island. The Koh Tao Island derives its name from Kohtao, meaning Turtle Island. 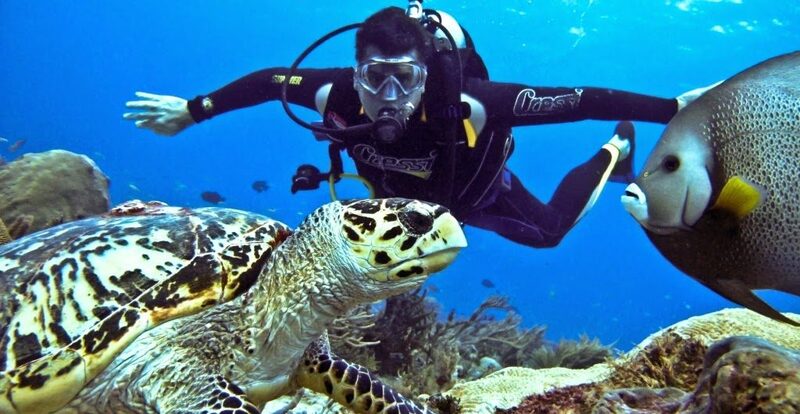 Estimated to be 55km from the north of KohSamui, a popular scuba diving destination, the island is compact in size. It is home to various white sandy beaches and a range of colorful sea creatures such as turtles. Enjoy its pristine white sand, glittering blue seas and nodding palm trees. While on this Island, tour the Chalok Baan Kao Bay. Book a five-star hotel, guest house, beach bungalow or resort of choice for accommodation while exploring this island. Located in the Andamana, the Phuket Island is home to nodding palm trees, fine white sands, lively towns and glittering seas. It is known for being a home to the world’s finest beaches. While on a boat tour, you will be lost for choices of hotels, guestrooms resort and villas. Relax at the shore at Katathani, Kalima Resort &Spa, The Naka Phuket or the JW Marriot Phuket Resort & Spa. It also has beachside or city accommodation serving local Thai delicacies to try out. Boat charters can be booked through Boats to Go. The Ko Phi Phi Island is located on the southern side of Thailand. Indulge in water sports, hire speedboats or enjoy great barbecues at the Ko Phi Phi. 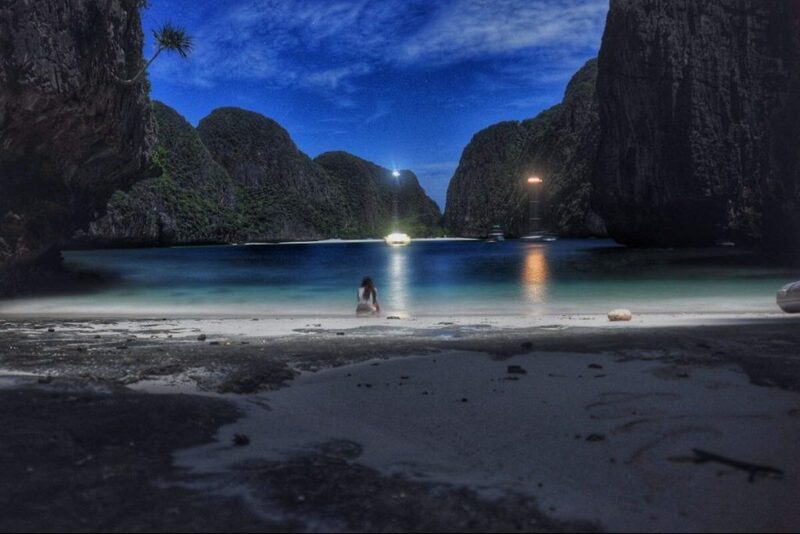 The island also has a National park and a beach known as Maya Bay, major tourist attraction sites. Tour Maya beach and get to experience its clear crystal waters, lush tropical vegetation and white sand powder. Check-in at the Phi Phi Island Village Beach Resort, Phi Phi the Beach Resort and many others for top quality services and superior amenities. Explore as many islands in Thailand as you would like. Consider chartering a boat to suit your needs. A small boat is suitable for a family or a small group of people touring the beaches while larger ones suit a bigger number of people. Availability of guest rooms, hotels, resorts and villas are bound to make your stay more comfortable and entertaining. Also consider water sports, hiking and camping to achieve more while on a boat tour in Thailand. Whether you are a professional sailor or indulge in the activity for fun, Thailand has various islands you will love to explore. Just like any other sailing adventure, you need to bring with you the right gear. Prepare in advance and find out when it’s the best time to sail in this beautiful country. There are few places as beautiful and ideally suited to kayaking as the coast and islands around Thailand. The dominant limestone geology produces sheer cliffs emerging from the sea and spectacular karst scenery of exciting caves and inlets. 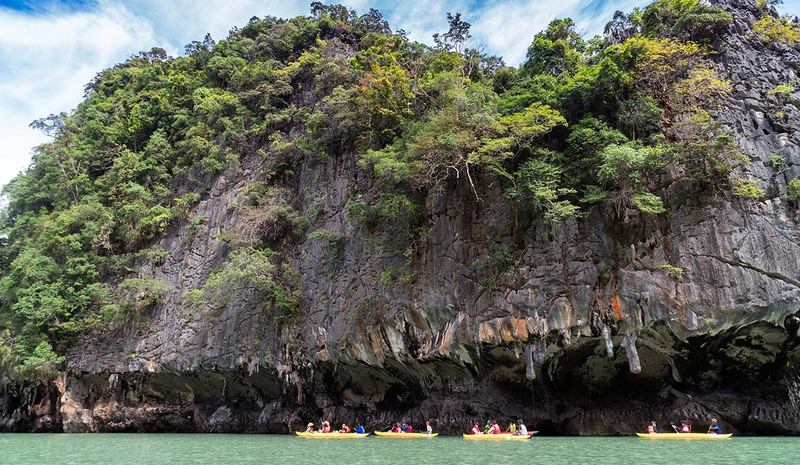 More than 150 limestone islands grace the Andaman Sea and the hidden lagoons (known as hongs) are an awesome attraction to explore by kayak. There are many kayaking schools and guided excursions available but you can also hire your own to make your own adventure. You can get traditional-style open kayaks that you sit in. These are usually thought of as for children or beginners but they are a great traditional way of getting close to the water. To see the most impressive karst columns, go to the magical Phang Nga Bay and visit James Bond Island and Koh Panyee. James Bond Island, locally known as Khao Phing Kan, was made famous in 1974’s The Man with the Golden Gun. Now a popular tourist destination, access to the islands is usually only permitted in organized groups but you will visit limestone caves, mangrove tangles, breathtaking beaches and even visit Koh Panyi, a floating Muslim village. Koh Yao Noi is a friendly, not overcrowded destination suitable for day-trip kayakers who prefer not to have to share the waters with many other tourists. Its Pasai Beach is a secluded white seashore with a taste of paradise. The small adjacent island of Koh Tai is within easy paddle distance and this type of island hopping is one of the big draws, a freedom to plot your own trips. Kayaking a circuit here will only take you a leisurely couple of hours. But, you really should stay for longer: there is a smattering of thatch-roofed bungalows where you can stay in relative luxury. The food is mouthwatering and very fresh. And the local bar- yes, there is only one – is definitely a must-go place. Just of the southern Krabi coast lies Koh Laoliang, a blissfully serene getaway that only allows 20 tents for accommodation. So, even in peak season you’ll feel like you have the place to yourself. The resort is only open from October to April. You can kayak around the island or paddle near the mainland coast. Much is made of the resort’s eco credentials; no trees were felled and hardly any concrete was used in its construction. On the coast of mainland Thailand lies Khao Sok National Park. From here down to the Andaman Sea are several twisting, turning streams which make for many hours of exploration and getting close to nature. Witness the fantastic sights of Malayan tapir, pig-tailed macaque and white-handed gibbon in this ancient rainforest. If it’s more action you’re after then there are a couple of schools that offer jungle survival training courses. Push yourself to the limit and learn bush skills that could save your life! The Khao Sok region has a lot to attract the extreme sports enthusiast. Travelling around Thailand by motorbike is very popular, even though it is fraught with dangers. The country is the second worst in the world for road accidents, in part due to lackadaisical road safety. You will need a motorbike licence and suitable insurance to ride here – although many tourists hire small-engine motorbikes without having these documents it does mean that your travel insurance won’t cough up should the worst happen. And you will also be constantly paying fines if pulled over by the police. There is no shortage of motorbike rental outlets and you can choose from a wide range of engines from sub 50cc to 250cc and higher. Don’t be surprised if you are asked to surrender your passport to hire a bike. If you can’t ride there is the sidecar option to ride pillion – sometimes preferable if you’re travelling as couples! Seeing Thailand by bike gives you a unique insight into the culture, environment and scenery that you just don’t get by other forms of transport. Organised bike trips usually last from 7 to 10 days but if you prefer to ride unaccompanied then you can still benefit from picking up a guided itinerary to see the best places to head to. Between March and April you can join riding tours around some of the areas of interest in the south of the country. This is usually for intermediates due to the rough terrain. A taster of Thailand is a 10-day minimum trip and typically starts in Phuket where you will choose your bike. From there you will head to Krabi beach after a ride around the Ao Phang Nga National Park. Then you head inland to Khao Luong and the highest mountains in the south of the country. Khanom and Khao Sok beckon and you have crossed the peninsula on your way from the Thailand Gulf coast. Khao Sok National Park has many activities you can try, from feeding and bathing elephants to learning how to prepare authentic Thai cuisine! By now you will have covered over 400 miles and leaving the dirt tracks and uneven surfaces for the bliss of the asphalt Road 401 by the Rommani river. The final stretch will be a boat trip back to Phuket. World famous, the Golden Triangle used to refer to the opium producing regions but today’s Thai tourism industry has repurposed the term to refer to the tripoint of Thailand, Laos and Myanmar. Here, not only the countries meet but so too do the Mekong River and Ruak River. Starting at the Chiang Mai temple (Wat Chiang Man) in the north of the country you travel across the massif near the Mae Taeng valley. From here you can head to Chiang Dao observing expanses of rice fields on the way to this enchanting hamlet at the foot of the mountains. As your ride progresses to Doi Angkhang you will climb to altitudes in excess of 6,500 ft. The route is rough with undulating tracks that require your full attention to stay on the bike. 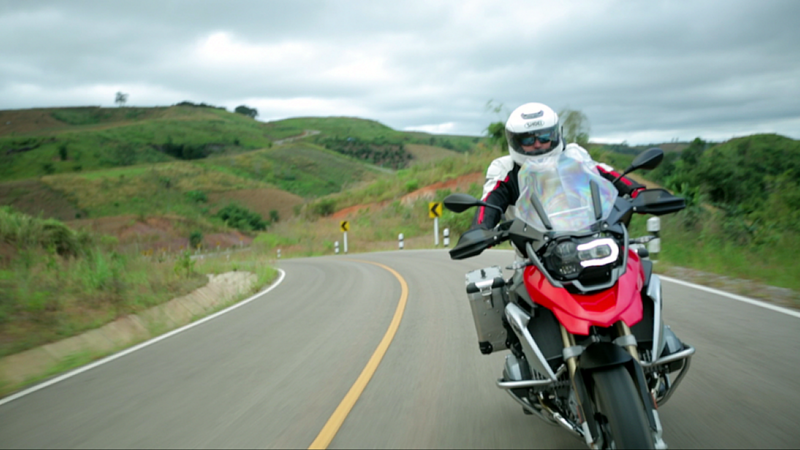 The descent takes you past vistas of poppy fields and then onto asphalt roads leading you along the picturesque Laos border. To get the most out of this tripoint trip give yourself at least ten days so that you can stop to appreciate the scenery, bazaars, eateries and culture of this deeply spiritual land. Writer, graphic novelist and web-based interactive content designer. Pattaya is a great place to visit for Scuba Diving. Many Beautiful Islands are there to enjoy water life. We are providing PADI Diving Courses for beginners as well as for professionals. Visit once if you want to enjoy and see life under water. Such a nice travel blog. I have come to know many new things about Thailand. I must try to go for a tour. Feeling enthusiastic after reading this article. Thank You. Great Post and Stunning Pictures. I love Thailand. It’s one of my favorite destination in Asia. 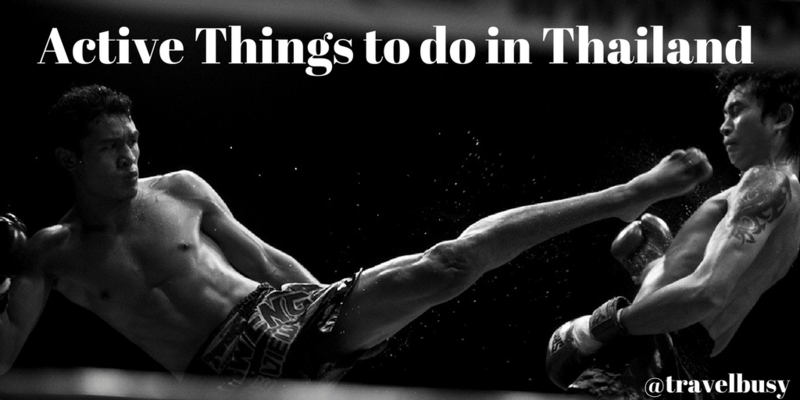 There is much to do in Thailand. Scuba Diving, Motorbike Trip, Mountain Biking are popular pastimes here, and while you are at it, make sure to try the delicious seafood!